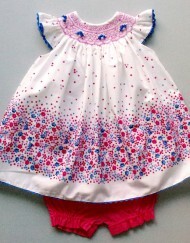 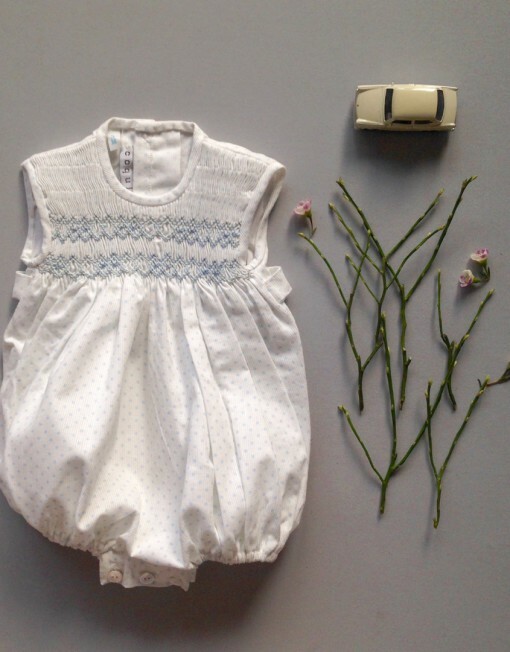 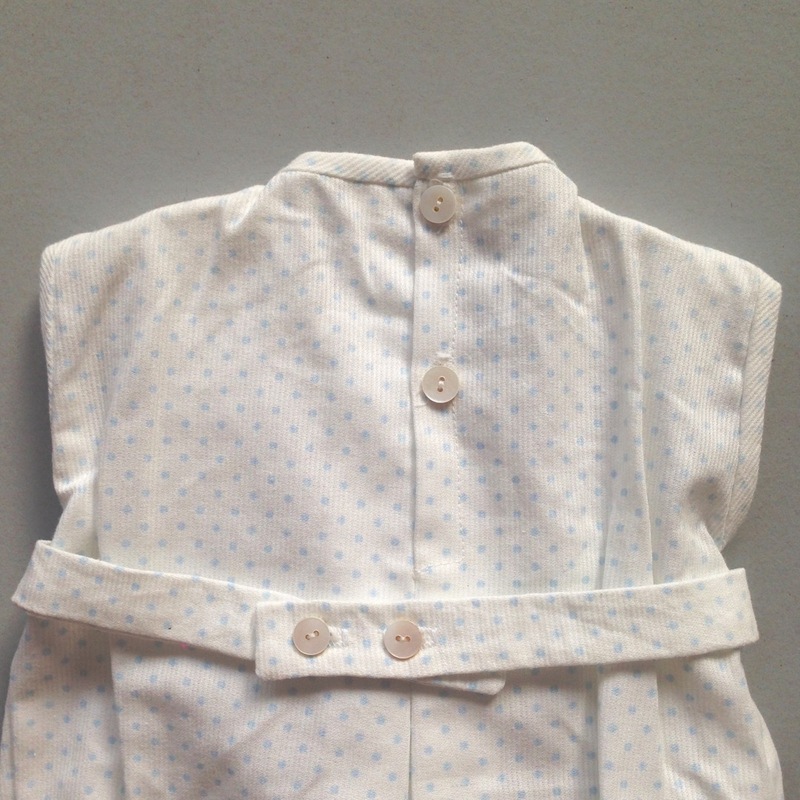 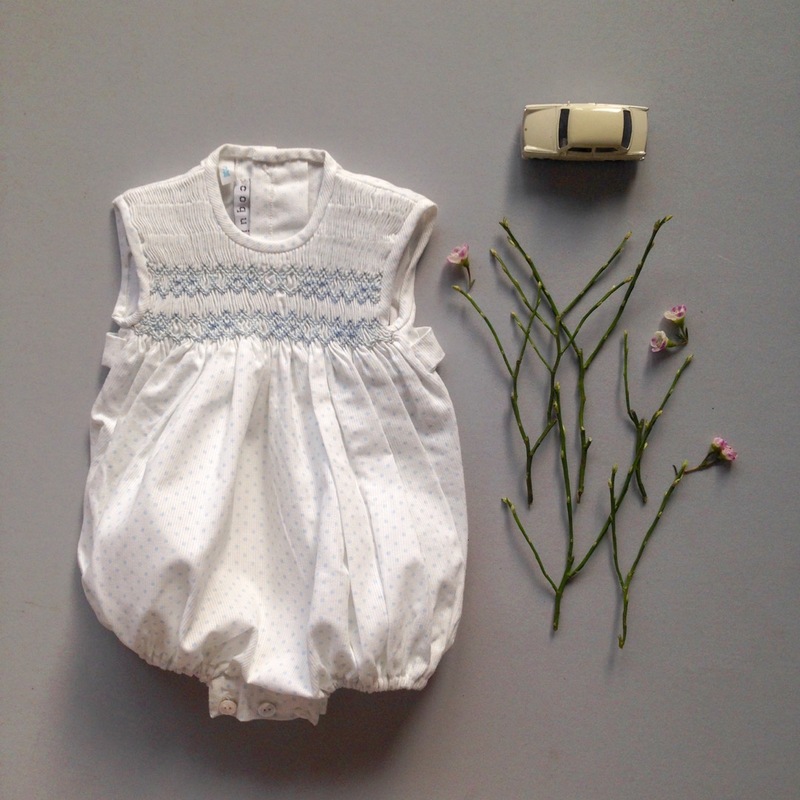 Baby romper white with pastel blue tiny dots for the first summer. 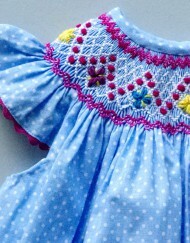 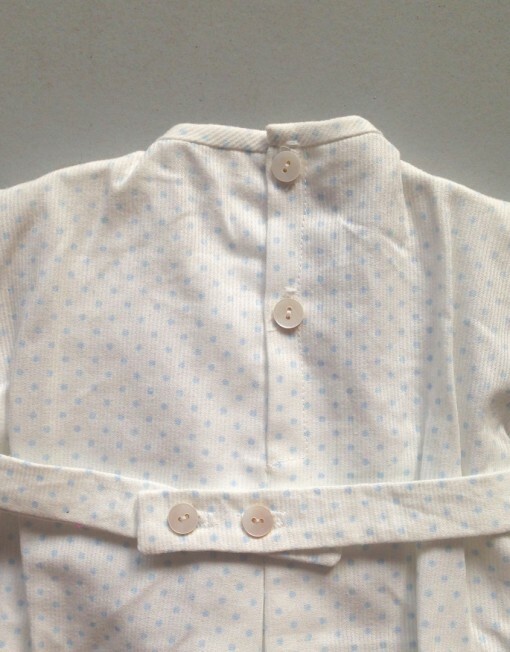 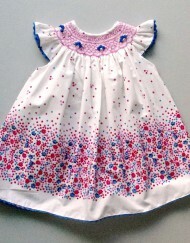 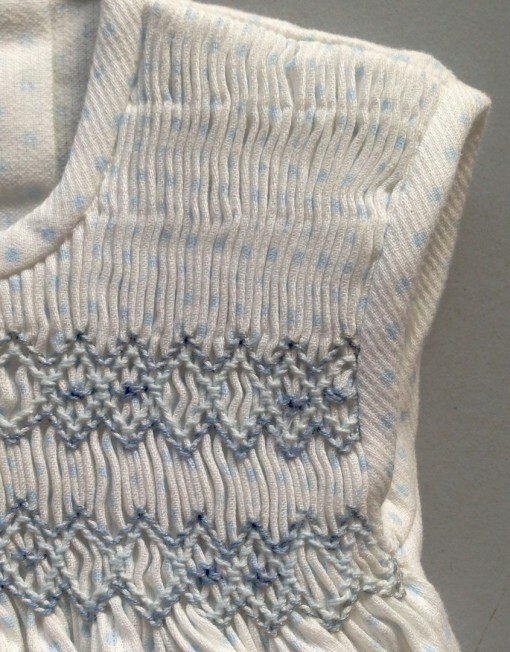 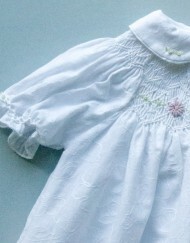 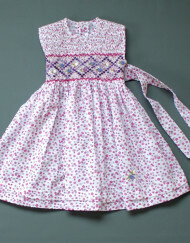 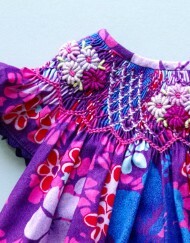 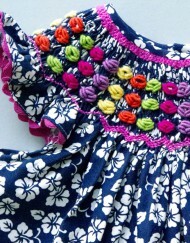 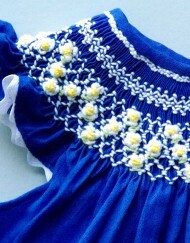 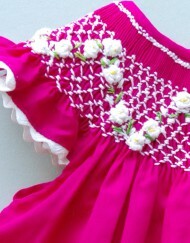 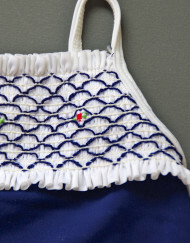 Smock embroidery on the front, with an opening on the bottom for an easy fit with mother of pearl buttons. 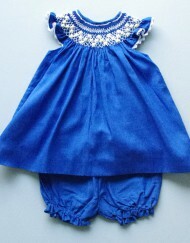 Fits 2 to 6 months. 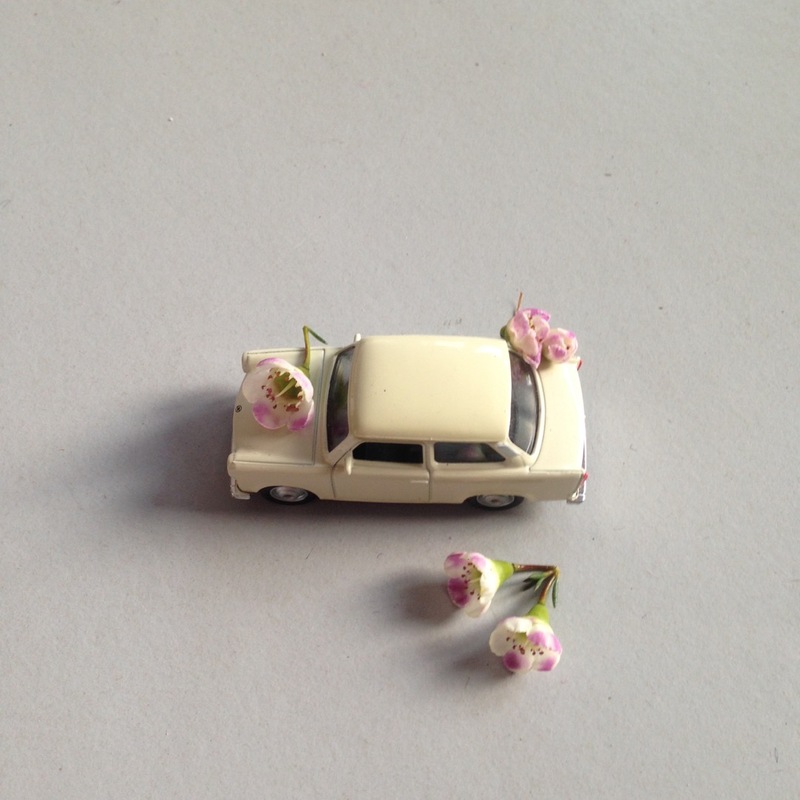 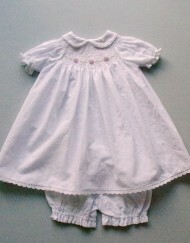 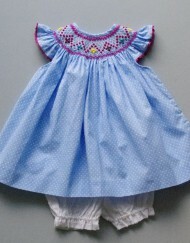 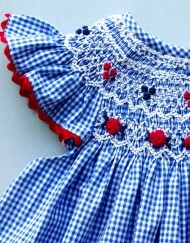 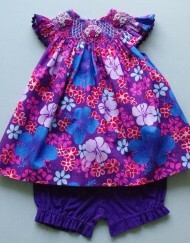 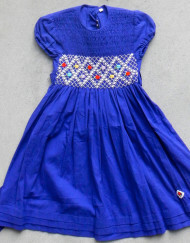 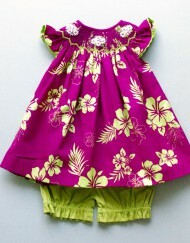 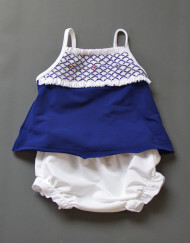 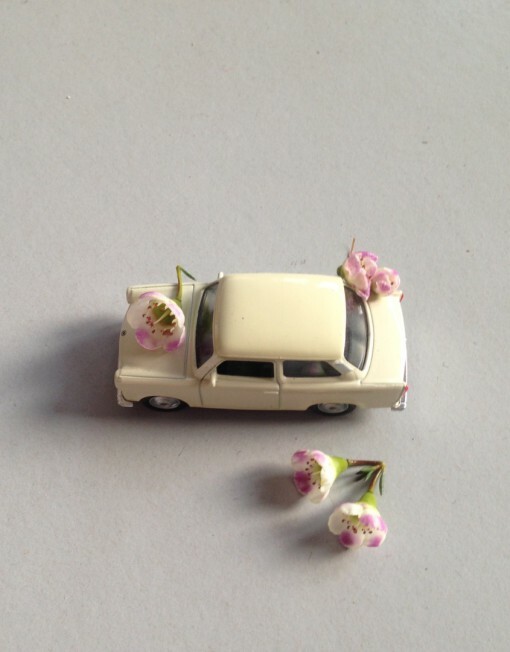 Categories: 3 to 9 months, new born, SPRING SUMMER. 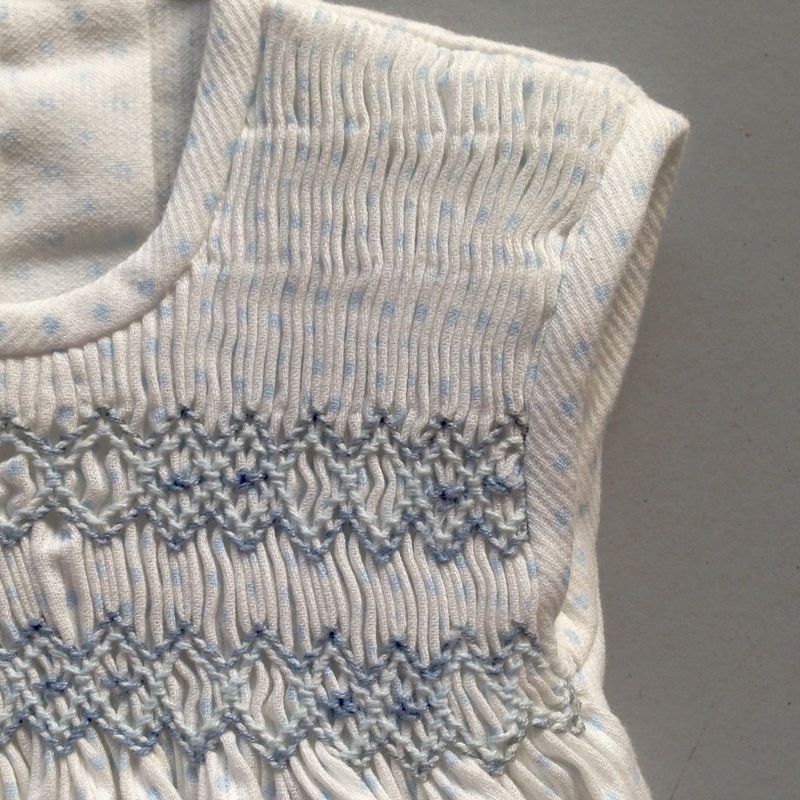 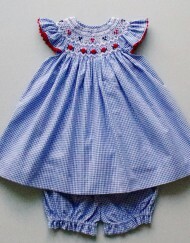 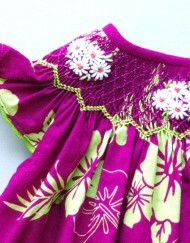 Tags: #coquitoberlin, #lenewsmock, #newbornsmock, hand embroidery, new born.